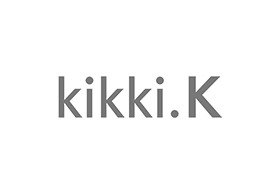 kikki.K is a boutique retail concept presenting a Swedish-designed range of stylish every-day-use home/office stationery products and unique gifts. The Scandinavian emporium hails from Melbourne where in 2001 it was named Melbourne's Most Innovative Retail Concept. Since then the label has continued to pioneer the fashion stationery market, offering seasonal collections of journals, storage, bags and desk accessories, making this gorgeous boutique at Chadstone a must visit destination.